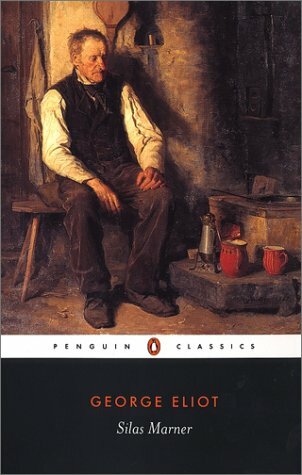 Early in the story, Silas Marner, a poor weaver accused of a crime he didn't commit, is ostracized by his fellow church friends and decides to move away from his home town to establish himself elsewhere. Having lost his faith in both God and humanity, he sustains himself for years by weaving and selling his goods in his new, adopted country, all the while saving most of his earnings until accumulating a hefty hoard. Silas’ new neighbors consider him a misanthrope. And for good reason. His sole purpose is to accumulate wealth from his weaving and, apart from occasionally interacting with the patrons who commissioned his services, he keeps to himself. His accumulated wealth is his everything. Nightly he extracts his earnings from bags he stashes in a cubbyhole in his house and eagerly counts the coins. Until one night when he steps outside and his house is robbed. Silas is devastated. That same night, however, minutes later in fact, he confronts an orphan child of two on all fours at the threshold of his cottage door. Her presence, over time, inspires him to find a reason to not only live but to live well, by giving rather than hoarding.